Everything you need to know about getting started with badges. Find technical documentation, FAQs, watch video tutorials and download our promotional materials. What data sources does Altmetric track? Our mission is to track the conversations around research outputs online wherever they’re happening. To that end we’re constantly looking for new sources of data. Getting started with Altmetric embeddable badges is simple. Just add three lines of code to your website, tells us about your content and you’ll be up and running in no time. 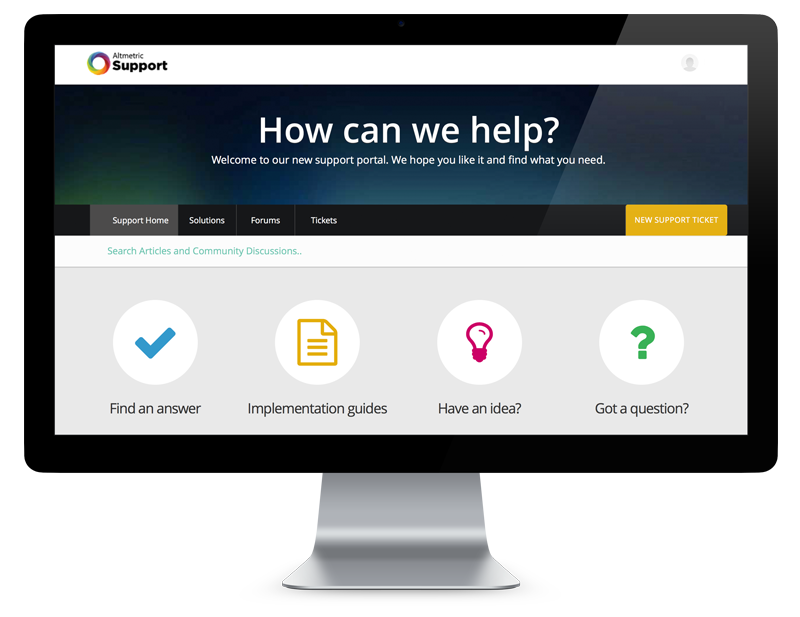 Altmetric badges customers can download our implementation documentation via our Support Centre, where you’ll find everything you need to get started embedding badges to your journal or institutional repository. We provide dedicated customer support throughout your badges implementation. Watch our Altmetric badges tutorials and tours. 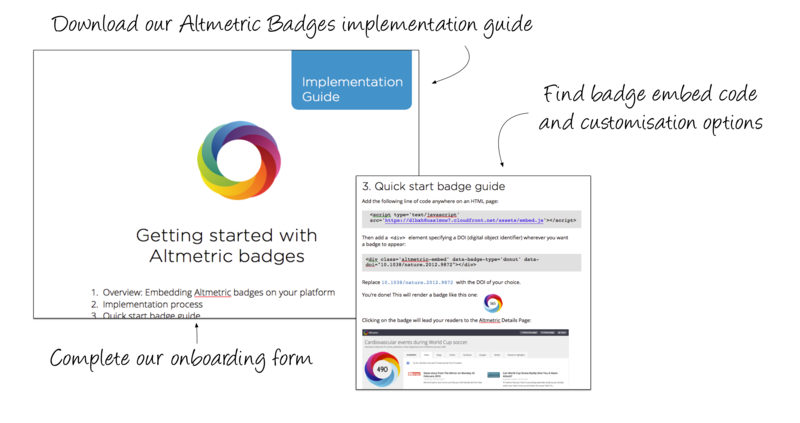 Download our Altmetric badges training and promotional materials to share across your organization and announce your new Altmetric badges. 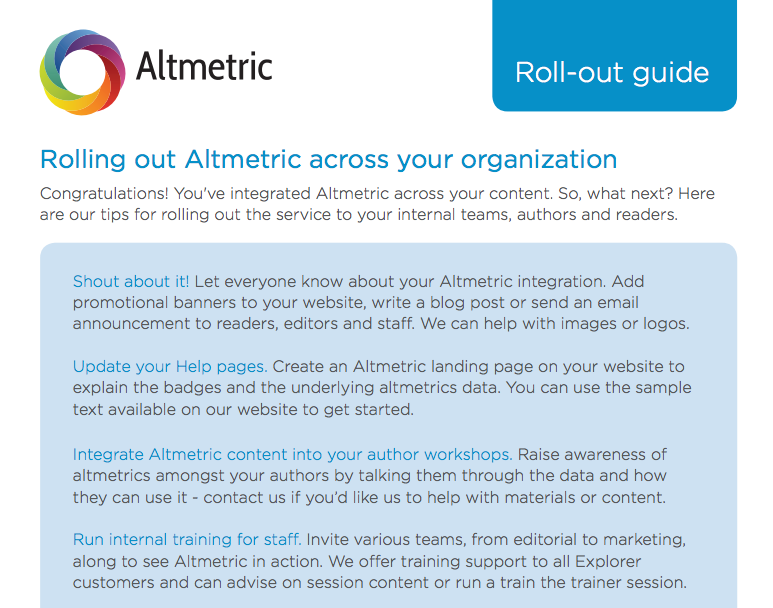 Use our web banners to announce launching Altmetric badges across your platform. 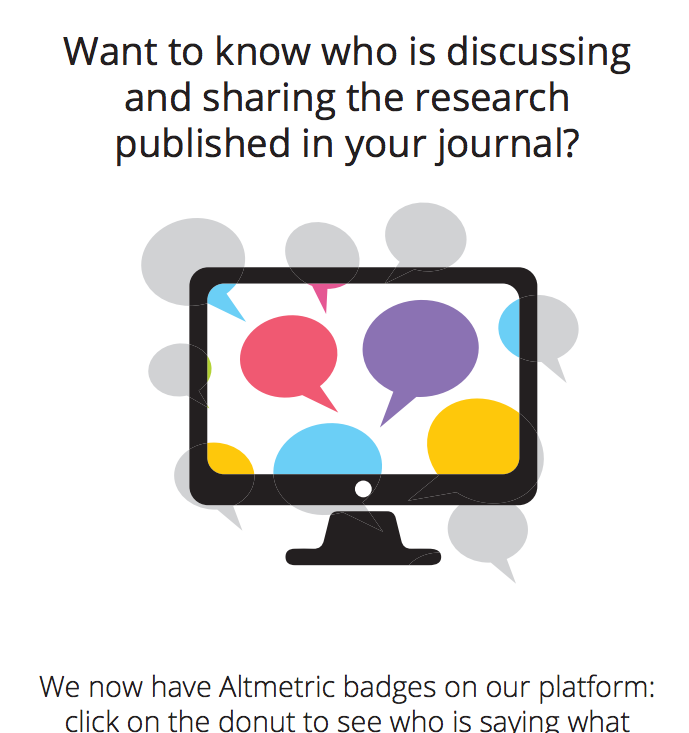 Download and share our poster to promote Altmetric badges on your platform.